Paso Robles, CA – Tickets for Paso Robles Wine Country’s marquee events are on sale at www.pasowine.com. The annual celebration of Paso’s heritage variety, Vintage Paso: Zinfandel Weekend is scheduled for March 15-17, 2019. 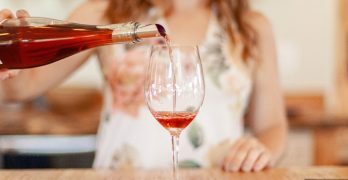 Paso Robles’ signature wine event, the Paso Robles Wine Festival celebrates its 37th year on May 16-19, 2019. Now is the time to plan, for Paso Wine, in 2019. 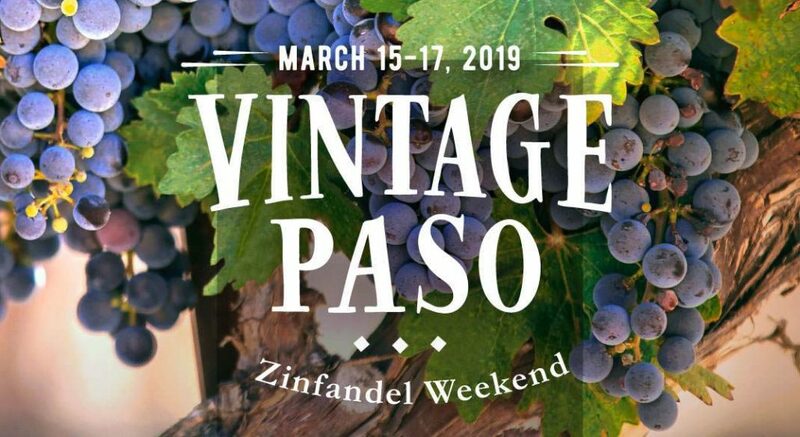 Vintage Paso: Zinfandel Weekend begins on Friday, March 15 with Zinposium, a Zin-focused seminar in downtown Paso Robles at the Paso Robles Inn Ballroom. 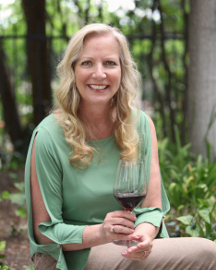 Moderated by iconic winemaker, Neil Collins, owner and winemaker of Lone Madrone, a panel of winemakers will discuss dry farming Zinfandel and Zin blended wines. This seated tasting is guaranteed to be educational and entertaining. In the evening, the ballroom transforms into a lounge atmosphere for Z After Party. Join up to 20 Paso wineries for a savory walk-around Zinfandel tasting, complemented by a fantastic selection of desserts and live jazz. This intimate tasting is sure to sell out with 80 seats for Zinposium and 175 tickets for Z After Party. Advance purchase only. Zinfandel Weekend continues on Saturday, March 16 and Sunday, March 17 with more than 100 wineries holding their own individual events throughout Paso Robles Wine Country. Visit www.pasowine.com to search by winery, activity or day to plot a course for Zin. The Paso Robles Wine Festival returns May 16-19, 2019 with the 37th annual celebration of everything Paso Robles wine. 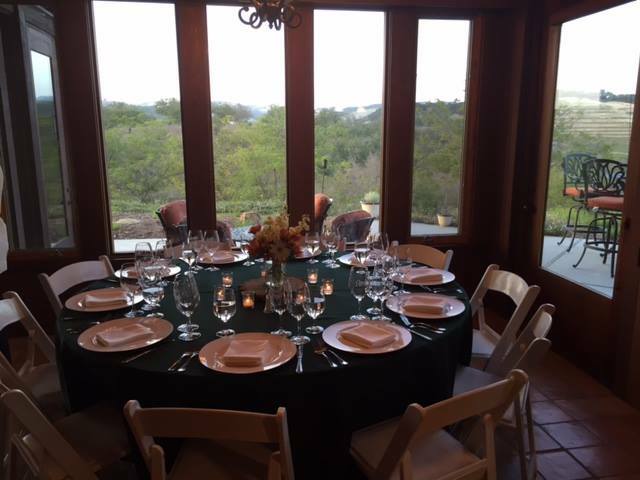 Wine Fest kicks-off Thursday, May 16, 2019 with Winemaker Dinners, each featuring multiple winemakers at the table with their wines paired with the cuisine of two iconic Paso Robles restaurants, Thomas Hill Organics and The Hatch. On Friday, May 17, RESERVE delights a limited gathering of wine and food lovers with Library, Reserve, White/Rosé, and Barrel Sample wines, complemented by fresh and local gourmet bites. The following day, Saturday, May 18, begins with a Winemaker Seminar. The topic is under wraps for now but promises to be a fun discussion and tasting. The day culminates with the Wine Festival Grand Tasting in the Paso Robles Downtown City Park. 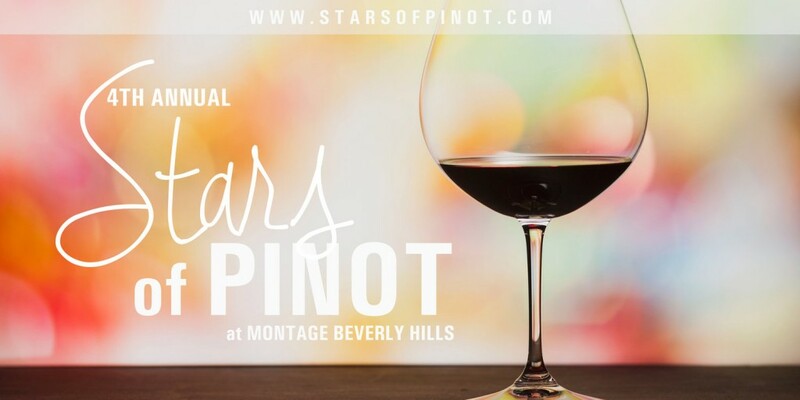 This unique outdoor tasting features 70+ wineries arranged by “regions” (Bordeaux-style, Rhône-style, Zinfandel, Burgundian-style, Italian varieties, and Other Wild Wines) with wineries pouring their best. In the picnic area and gazebo, live music will provide the perfect atmosphere to enjoy a beautiful summer day sipping Paso Robles wines. Back by popular demand, the 2019 Wine Festival will feature complimentary food tasting from the region’s best chefs and caterers. Visit www.pasowine.com often to see updates on who will be sampling their delicious creations. Creativity abounds with the return of a limited lineup of handpicked artisan merchants. These entrepreneurs will offer a selection of unique local and wine country themed products. Sunday, May 19 of Wine Festival weekend encourages people to travel beyond the Park to explore more than 100 winery events throughout the weekend including winemaker dinners, live music, barrel samples, and so much more! Tickets – All Zinposium, Z After Party, Wine Festival Winemaker Dinners, RESERVE, Wine Festival Seminar, and Wine Festival Grand Tasting Tasting tickets are now available on www.pasowine.com. Several factors should go into play when creating a wine list. As a consumer we may not be aware of all of them. As a wine writer I get to learn some of them. Here’s what I learned and what you can now expect from the new Reserve Wine List at Newhall Refinery. Simon and Shannon Mee, owners of Newhall Refinery, already had re-vamped their existing Wine List with the help of Guy Lelarge, formerly of Valencia Wine Company. Lelarge introduced several new wines – that have become new favorites – while removing some older wines from the list. But it doesn’t end here for the Mees and Lelarge, as Newhall Refinery is one of the most cutting edge restaurants in the Santa Clarita Valley (many would argue that they are the most cutting edge) they wanted to create a reserve wine list that would encompass classic Napa wineries as well as global favorites, wines with high critic scores, name recognition and pair the best with their ever-changing fare. 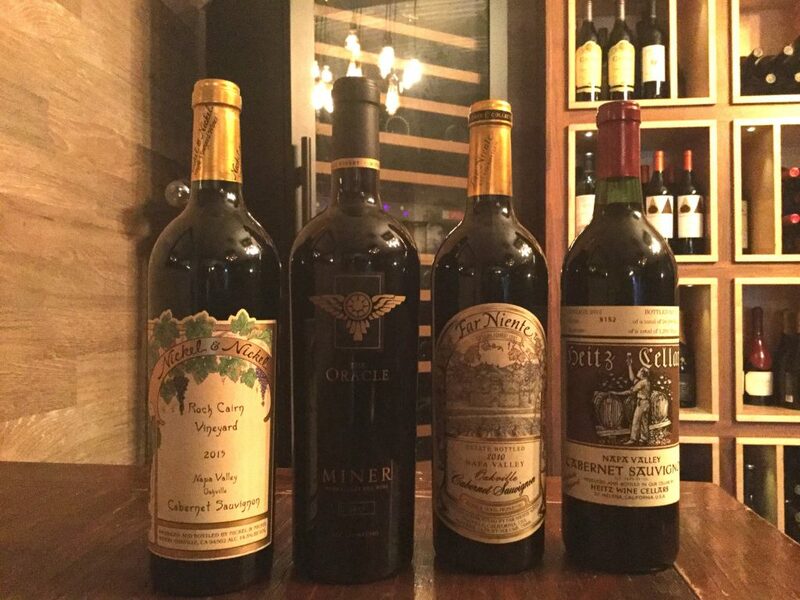 One look at the new Reserve Wine List (below) and wine aficionados will notice a Far Niente vertical, 2010, 2011 and 2012 – of their Cave Collection Cabernet Sauvignon. 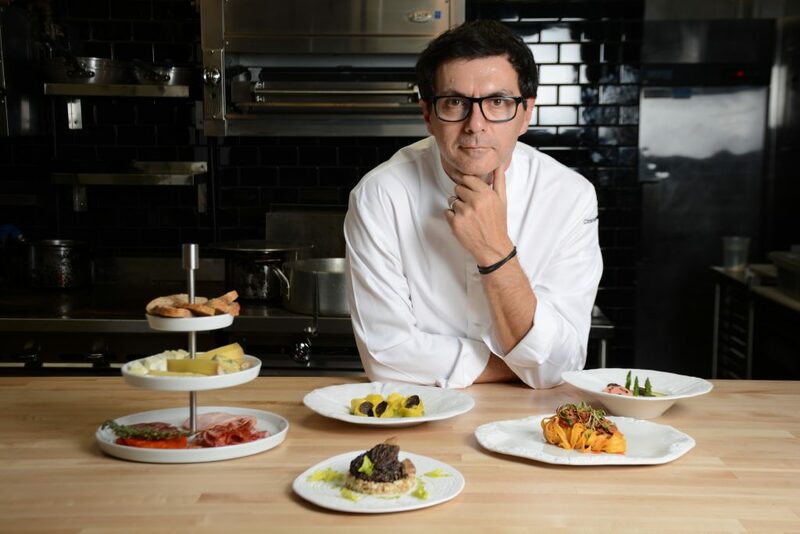 They may also notice that the selections also include global choices – notably France and Italy – to pair with the dinner menu, Chef Dustin’s weekend menus and of course, the upcoming holiday parties and special events in The Cellar at Refinery. These new reserve wines are now safely tucked away, in a temperature controlled wine fridge in The Cellar, near to the decorative racks of wines that will still be available from the latest wine menu. There will be three by-the-glass selections, all Napa Cabernet Sauvignons: the 2015 Duckhorn, 2014 Silver Oak and a 2012 Heitz Trailside. How can they possibly open such nice bottles just for a glass? The Mees have purchased a Coravin Model 2, which is a unit that extracts wine from the bottle without removing the cork. Usually winery representatives and distributors use this model. Lucky for us, the Mees know the value of fresh wine as well. Lastly, there are only a select number of these wines that are currently available, so don’t wait too long to come in and try a new dinner pairing at Newhall Refinery! My own opinion of this new Reserve Wine List: it’s incredible! And now we both now know – and can appreciate – what should go into the selection process. 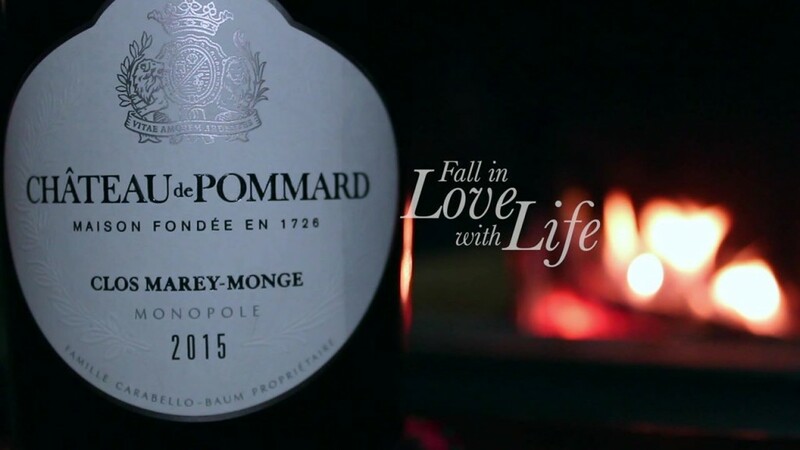 Château de Pommard is introducing three new Wine Experiences to teach consumers the professional secrets of tasting, pairing and selecting wines. The Tasting Experience, Climats Experience and Gourmet Experience have been created by the domain’s new Director of Wine Education, Vanessa Guébels, a Wine and Spirit Education Trust (WSET) Diploma graduate. Guests participating in the Tasting Experience will learn, in just 45 minutes, the WSET systematic method for professional tasting and gain the confidence in describing wines using the language of professional sommeliers. The Climats Experience lasts 60 minutes, during which, the complex array of Burgundy villages and wines are explained. 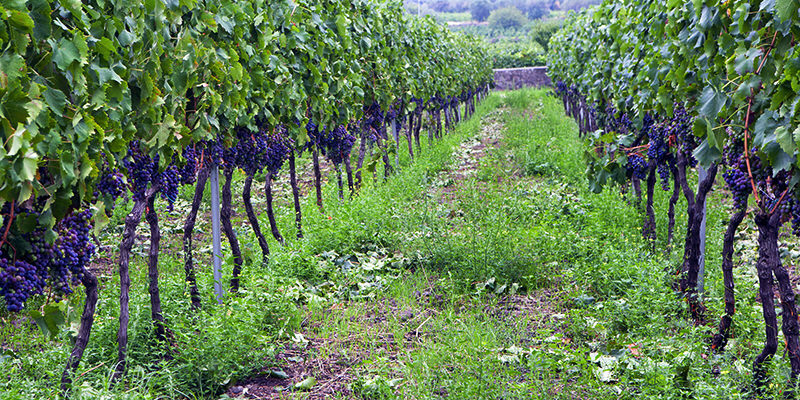 Guests are empowered with a grasp of the true meaning of terroir. The Gourmet Experience offers each visitor the opportunity to travel the world and build a foundation for matching fine wines with international cuisine. This, 90-minute workshop, hosted by WSET trained Wine Advisors, was developed by Ms. Guébels and Château de Pommard’s award-winning winemakers to encourage a methodical approach to food and wine pairing. “The opportunity to combine the unparalleled wine knowledge in Burgundy with consumer experiences is a wine educator’s dream of a lifetime,” quipped Ms. Guébels. From passionate wine lovers looking to strengthen their knowledge of Burgundy to industry professionals dedicated to improving their craft, there’s a wine experience suited to all tastes and levels. These experiences are one of many forthcoming projects, both onsite and online, from Château de Pommard designed to ignite passions for wine education. 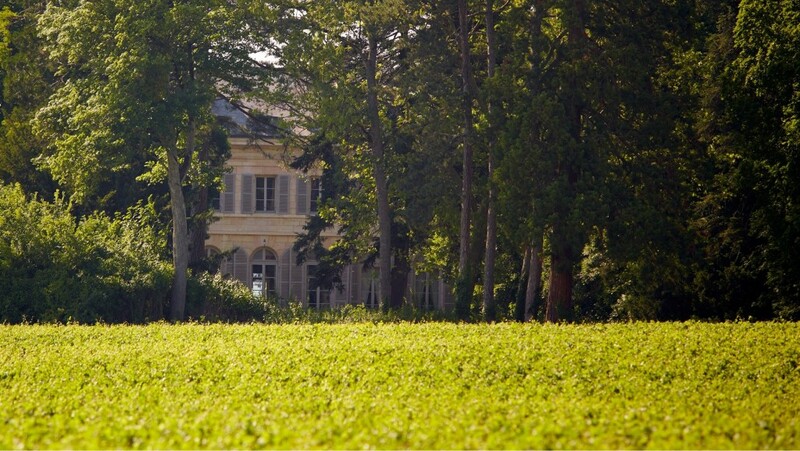 The new Wine Experiences can be reserved online, by phone or through Château de Pommard’s travel, tourism and hotel partners. After a fruitful overseas run with NBC News, I returned to Chicago where, with the support of NBC and other news operations, I created a production company to continue covering the news. At this point, it had been seven years since I’d left the U.S. and I realized a lot had changed. I discovered two publications dedicated solely to wine coverage. Imagine that. What was next? An all-sports network, or one dedicated to cooking? As I read through those magazines, I found that a plethora of ink had been devoted to the much-heralded back-to-back ’89 and ’90 vintages in Bordeaux. While I knew nothing of this French region, review after review screamed that these were must-have wines. I had just grasped Brunello di Montalcino and was now confronted with the much larger and more complex right and left bank. Once again, I had to dive in. There was no turning back. Would it ever end? Of course, the correct answer is no. Once again, my professional TV life intersected with my burgeoning wine life. I was hired to produce a project on the growing wine auction business and invited to sample some of the Bordeaux and Burgundies being auctioned. There was that dirt component again from my earlier run-in with French reds. But this time, coupled with ripe fruit from great vintages, I found it was delicious. If a picture is worth a thousand words, a taste is worth ten thousand words, and after that auction project, I was a hopeless collector – with all of our available funds going into the cellar. Brunello, Bordeaux, and Burgundy would soon be followed with Napa Cabs, Barolo, Barabresco, Rioja and Priorate. My cellar was growing and diversifying, and so too was my occupation. After decades of globe-trotting network news coverage, I was looking for television work that seemed less perilous and closer to home. I began to replace my exhausting news career with a new and popular format called reality TV. Work was plentiful and the compensation rewarding. But, I quickly discovered that there was nothing real about reality TV, and it proved to be even more exhausting than network news. It was decided. After 25 years in TV, I needed a break from television. Living in Southern California and enjoying the fruits of my second marriage to a highly successful corporate executive who was also a fan of fine wine, I had the luxury of choosing a ‘second act’ without jeopardizing our financial solvency. 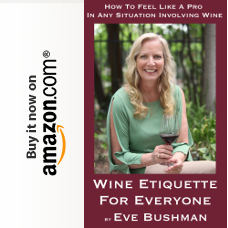 We discussed a possible detour on my career path and agreed wine was my only other true passion – an avenue worth pursuing while I pressed the pause button on TV. But where to begin? Retail shop clerk or cellar rat didn’t appeal to me, and I didn’t have the resume for the restaurant biz. Distribution or sales would be a radical departure, but perhaps something I could manage. I took a job as a sales rep for a prestigious importer and distributor with an impressive portfolio of wines. Learning the portfolio would be daunting but doable. But acquiring ‘street cred’ would be tougher. I soon found out “Emmy award-winning cameraman and producer” made for a meaningless introduction in the wine world. I had to get new credentials. Tim Ortman is an Emmy Award-winning cameraman and producer and author of the new book, Newsreal: A View Through the Lens When… He is a certified Sommelier and member of La Confrérie des Chevaliers du Tastevin. Connect with him on Facebook, @TimOrtmanWriter. 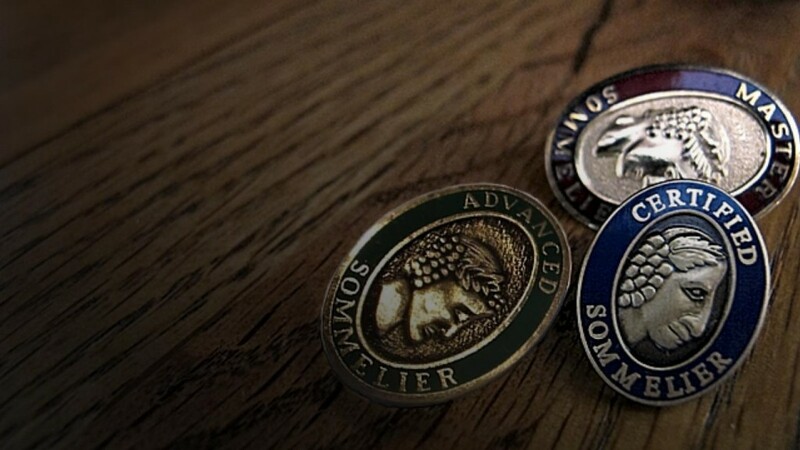 Dijon, May 2018 – Founded in 2013, the School of Wine & Spirits Business (SWSB) centralises all wine and spirits management training and research activities carried out by Burgundy School of Business (BSB). In April 2018, the School unveiled a new building of over 1,000m2 at the heart of the BSB campus. These truly unique premises are the only ones of their kind in the world dedicated entirely to teaching of and research into wine and spirits management. Launched in conjunction is the Wine & Spirits Business Lab, an unprecedented research laboratory concentrating on behavioural studies within the wine and spirits sector. The School of Wine & Spirits Business is currently an international benchmark in the field. Every year it provides training to over 180 students of around 20 nationalities from 5 continents, via its range of programmes: the Specialised Master in International Wine & Spirits Business (taught in French), the MBA in Wine & Spirits Business (launched this year along the lines of the MSc in Wine Business), the MSc in Wine Management and the Wine Tourism specialist option as part of the Bachelor in Marketing & Business (all three taught in English). This research laboratory is the only one of its kind in the world dedicated entirely to behavioural studies into the wine and spirits sector – from production through to consumption via assessment. Under the leadership of Prof. Nikos Georgantzis, the set-up employs experimental economics techniques in order to unearth the emotions, cognitive procedures and decision-making factors that influence the actions and opinions of consumers, producers and experts. 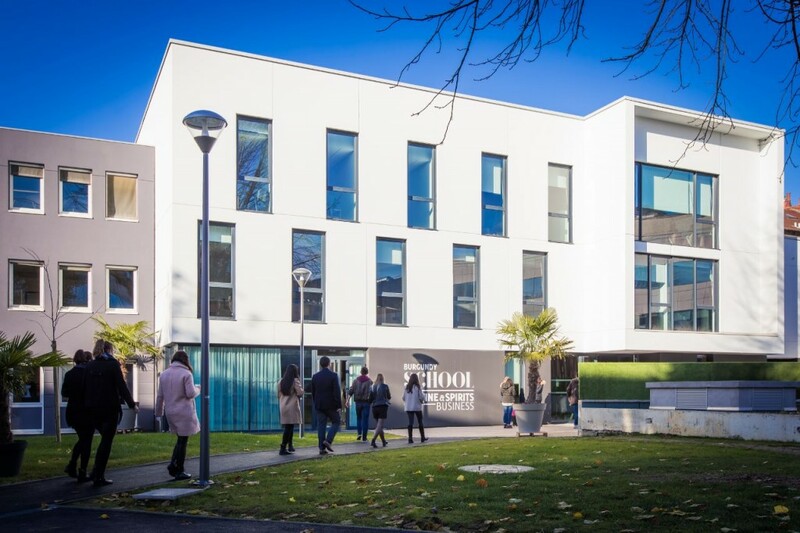 To achieve this, the team can call upon the expertise of the BSB Behavioural Economics academic department and use the top-quality facilities made available by the SWSB. In addition to the experiments conducted, the Lab also provides a forum for combining expert knowledge of and interest in the world of wines and spirits in order to provide new responses to long-running issues and also with a view to generating new knowledge and pushing back the boundaries of research into the area. The Wine & Spirits Business Lab team works in close collaboration with partners from the wine-producing industry, and students and universities from all over the world, an open set-up that enables them to produce academic research that is both intellectually stimulating and of genuine use to Society.